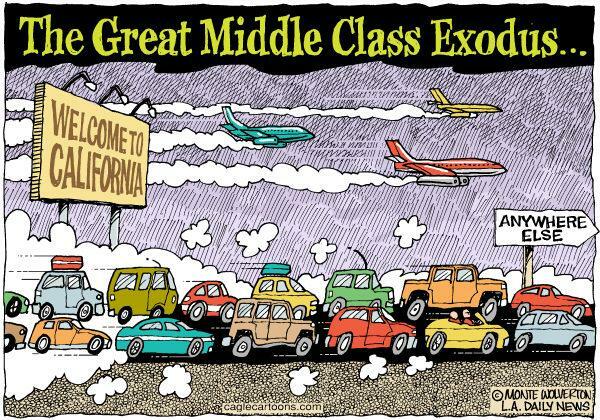 "It's Just Too Expensive" - Almost Half Bay Area Residents "Want Out"
Reports of an 'exodus' from California are no longer click-bait headlines, but the very real life-affecting decisions sending the 'great middle-class' anywhere but 'here' are becoming more vivid every month. 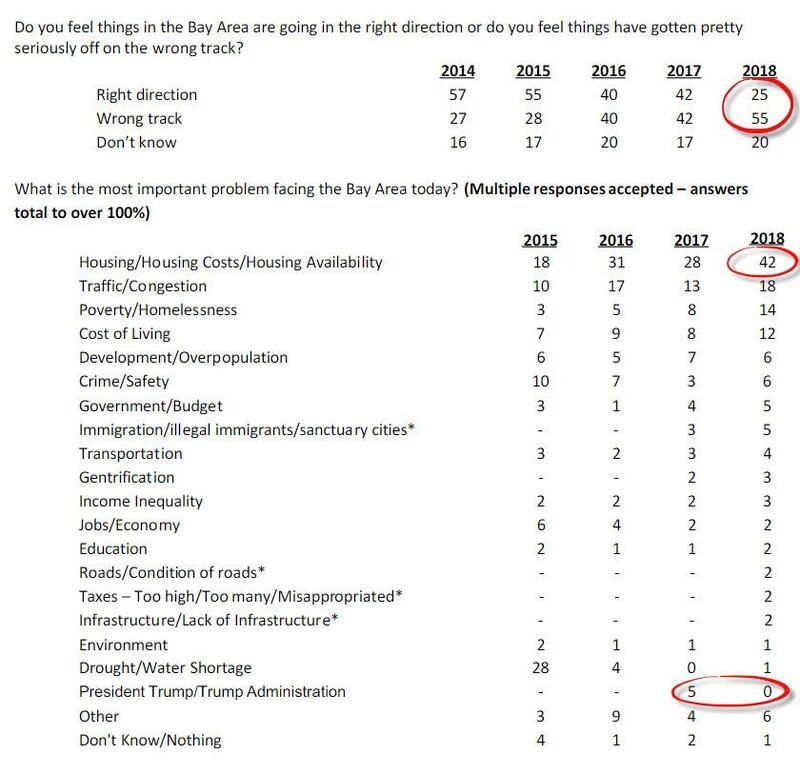 The latest example of widespread pain comes from the San Francisco Bay Area where a poll released this week by a local advocacy group showed that 46 percent of Bay Area residents surveyed said they want to move out of the area within the next few years. That number is up from 34 percent in 2016 and 40 percent last year in the same poll. As SacBee's Michael McGough reports, the reason for the urge to leave might be pretty obvious, at least to anyone knowledgeable on California: It's just too expensive. Cost of living (45 percent) and housing prices (27 percent) were the main reasons cited among the 461 residents who said they want out. On top of that, 42 percent of survey respondents called housing costs/availability the most important problem facing the area, beating out traffic (18 percent) and poverty/homelessness (14 percent). They may be the highest there, but housing prices aren't just booming in the Bay Area. A statewide poll conducted by UC Berkeley last year showed 56 percent of voters have considered moving due to the housing crisis - and 1 in 4 of those residents said they'd leave the state. Some are already making good on that promise. 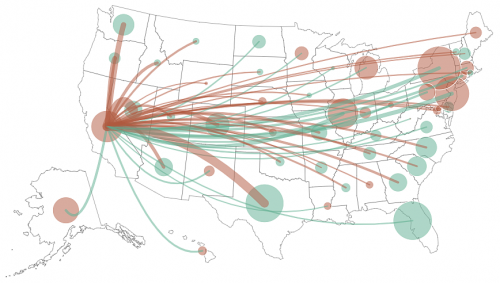 Recent data confirm that Sacramento is experiencing its highest rate of domestic migrationin over a decade.